This Ocean Life Podcast. Fishing, freediving, surfing, paddling, spearfishing, sailing, anything in the ocean… Bi-weekly podcast series capturing the stories and life times of people around the world who have based their lives on the ocean. Hosted by Josh Pederson. In Episode 67 we speak with Dan Semrad, founder of Oregon Freediving Company and life-long man of the water. Dan takes us through his evolution from scuba diving into freediving sharing stories on the people and places along the way such as Honduras, Grand Cayman, Hawaii, and more. 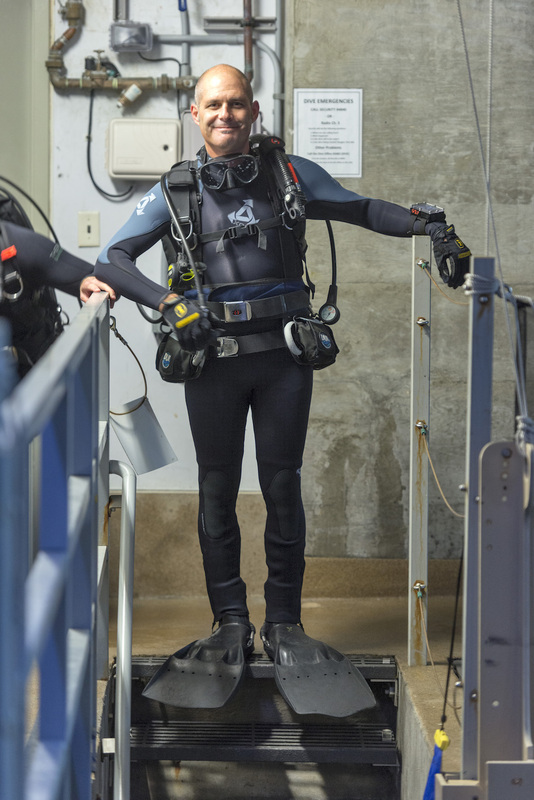 Dan shares his perspective on training others through his work with PFI and NAUI while pushing his own breath hold limits. 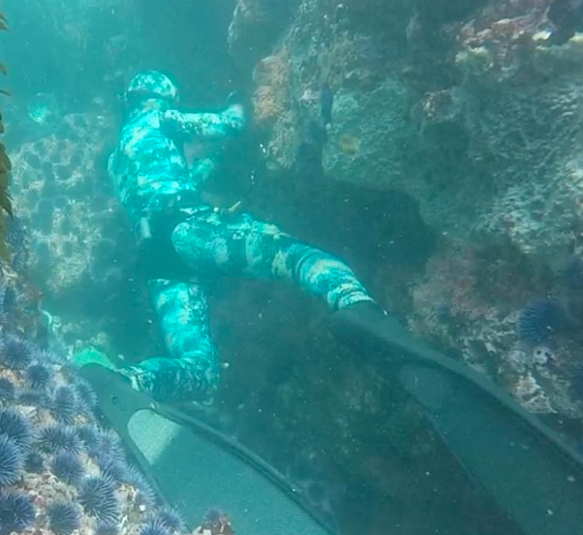 We hear of underwater blackouts and rescues while diving and hunting fish in the dark waters of the Oregon coast and adventures in Alaska with Dan's thoughts on learning techniques to pursue new types of fish and enjoying the overall pursuit. Thanks for sharing Dan's ocean life with us. You can find pictures and video of Dan on his Instagram page and website - if you're interested in freedive training definitely hit him up. You can also always see some fun stuff on the This Ocean Life Instagram and Facebook pages. We are also on Twitter ranting about anything cool happening in the ocean. This episode is sponsored by Kalletka Undersea, an ocean lifestyle company born from thousands of hours spent roaming in and under the sea. As a family-owned company Kalletka delivers high quality t-shirts and hats representing memorable scenes and animals in the ocean. Visit them at www.Kalletka.com and get 15% off your order with the code thisocean15. Enjoy the Humble Pursuit. In this multi-part series I've put together the first set of stories and perspectives on the world's gnarliest paddle board race, Molokai 2 Oahu (M2O). Six of my past guests and current legends in the water -- Lincoln Dews, Mick Di Betta, Morgan Hoesterey, Nick Franco, Leanne Horton, and Jeff Denholm -- all share their past experiences paddling in the Kaiwi Channel (The Channel of Bones) including sinking boats, injuries, super heavy conditions, the first M2O event ever, competing both SUP and prone, logistical horror stories, and much, much more. If you enjoy this story compilation I'd be stoked if you gave a nice rating of This Ocean Life in your podcast app or even better stop using plastics whenever possible so we can keep them out of the environment and out of the stomachs of our favorite ocean critters. Thanks! Check out all podcast episodes at www.ThisOceanLife.tv. 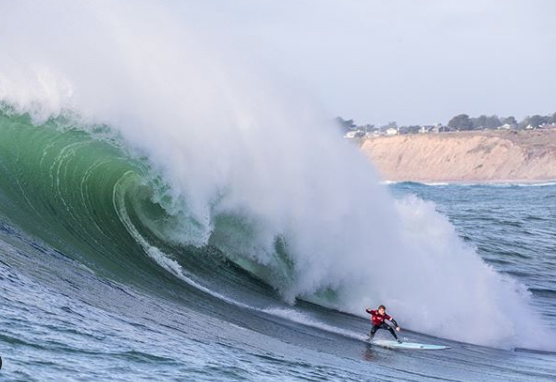 In this episode of Stoked Grom Stories we speak with Riley Auble, a young man enjoying a life growing up in Santa Cruz, California. We hear of Riley's adventures traveling to Vietnam and his favorite surf spots on Maui. 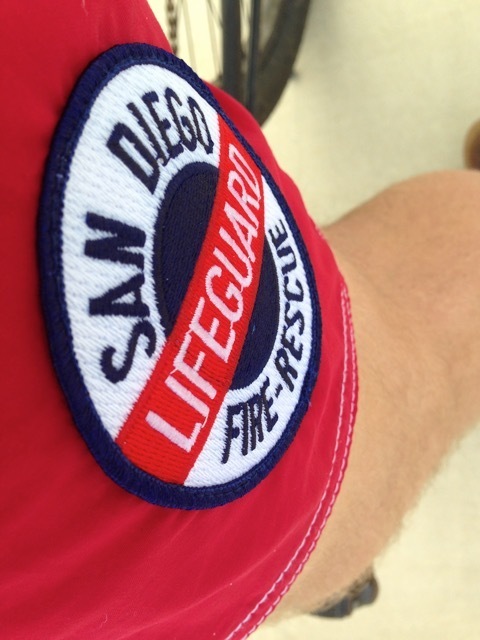 Riley talks about his love for fishing, helping disabled children enjoy the waves with Ride-A-Wave, and the epic finish of his Junior Lifeguard paddle team at the 2018 California Regional competition. Riley takes us through some of his strategy for competitive surfing and his stoke for paddling prone boards. Thanks for sharing Riley's ocean life with us. 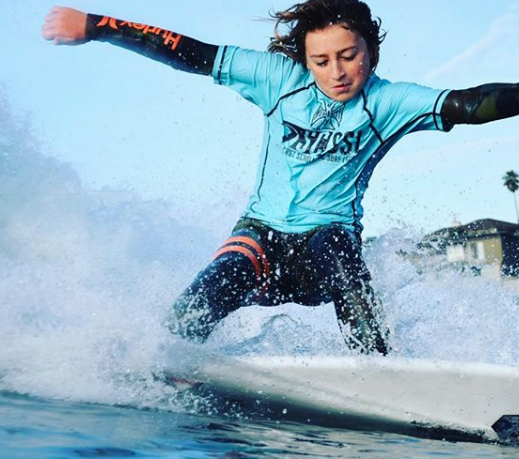 You can find pictures of him ripping on Instagram and more good stuff on the ThisOceanLife.TV Instagram and Facebook pages. We are on Twitter ranting about anything cool happening in the ocean. In Episode 66 we speak with Chris Aguilar, a man of the water who has built an amazing lifestyle of board paddling and documenting the people and events of the sport. Chris takes us through his years filming the Molokai 2 Oahu paddleboard race and shares some of his favorite moments that he's been a part of. We hear about the evolution of Chris's video work and his passion for using this medium to tell stories from events like M2O, Carolina Cup, Battle of the Paddle while also pushing his own physical and mental limits competing as a prone paddler in many events. 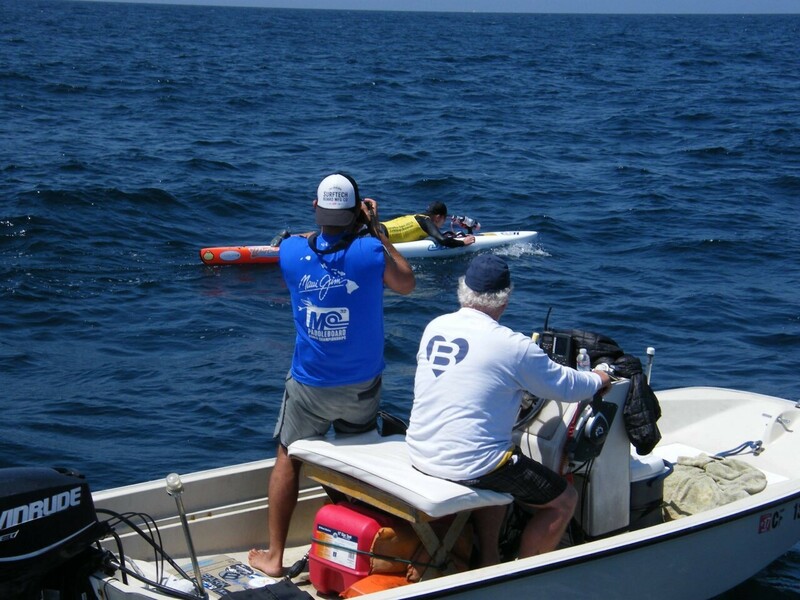 Chris talks about the 10+ Catalina Channel crossings that he's done as well as his love for the Chattajack Race in Tennessee and shares his perspective on the paddle community and participating in fund raisers for those less fortunate, like the 24 Hour Paddle. Thanks for sharing Chris's ocean life with us. You can find Chris's videos on Vimeo, pictures and video of him on his Instagram page and Facebook. There is also some fun stuff on the This Ocean Life Instagram and Facebook pages. We are also on Twitter ranting about anything cool happening in the ocean. In podcast Episode 64 we speak with Chris Hearn, a man of the ocean from Newfoundland who is part of Discovery Channel's 'Disasters at Sea' television series that reexamine some of the most mysterious and harrowing sea disasters of the last 50 years. Chris takes us through his his work on the show helping to capture the human experience of maritime disasters that the show re-creates. 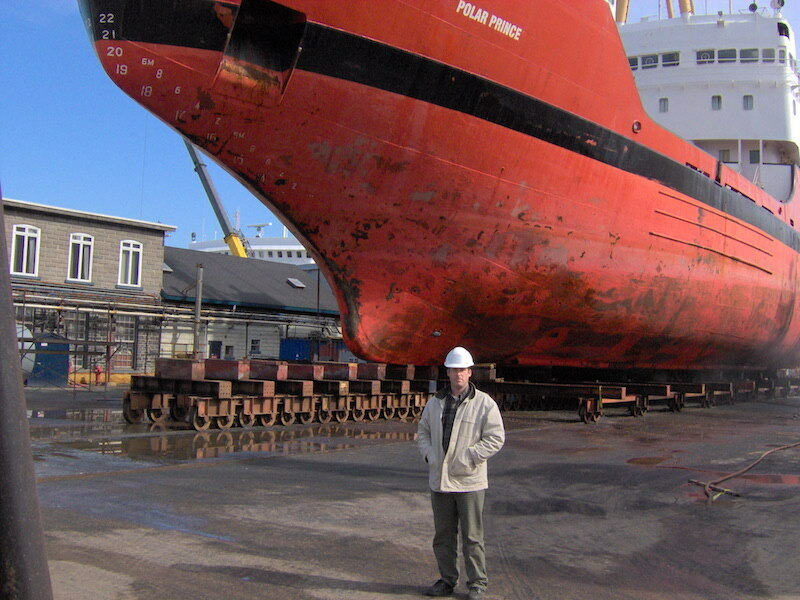 We hear about Chris's 15+ year career at sea, traveling the world, and reaching the level of Master Mariner. Chris talks about a variety of vessels he has operated from ice breakers, to cargo ships, drilling, and more while sharing his perspective on life at sea running a ship and living with the raw wild of the ocean. Chris shares an incredible story of being caught in a 'perfect storm' scenario near the Grand Banks and talks about his current role as director of a marine simulation center helping the maritime industry become more safe. Disasters at Seas is really well done show that makes you feel part of the actual disaster. Check it out on the Discovery Channel website. Thanks for sharing Chris's ocean life with us. You can find more information on his work with Disasters at Sea here.There is also some fun stuff on the This Ocean Life Instagram and Facebook pages and we are also on Twitter ranting about all kinds of ocean stuff. This episode is sponsored by Mile 22, makers of surf and paddle board straps — including world famous Monster Straps (which I LOVE and use regularly) — designed in California by folks who surf and paddle every day. Check them at www.Mile22.com. In Episode 64 we speak with Mike Lenane, a man of Western Australia with strong passion for sharing the world of standup paddleboarding SUP with others. Mike takes us through his life growing up near Perth and the evolution of his ocean life with bodyboarding, surfing, and then SUP. We hear stories of Mike discovering SUP, building a lifestyle business around the sport, and his stoke for introducing others to the water. Mike talks about his video production work on projects like "SUP in the 1920's" a spin on the old silent movies and his latest project, "This is Stand Up Paddle" that puts a new twist on nature documentaries (you must watch it here on YouTube) and was part of the first SUP Film Fest. Mike also has a new YouTube channel, "The SUP Show" that dives into the world of SUP and all things ocean. Thanks for sharing Mike's ocean life with us. You can find pictures and video of him on Facebook. Plus check out his Sunset Standup Paddle website. There is also some fun stuff on the This Ocean Life Instagram and Facebook pages and we are also on Twitter ranting about stuff. Thanks for sharing Stefan's ocean life with us. You can find good stuff on the ThisOceanLife.TV Instagram and Facebook pages. We are on Twitter ranting about anything cool happening in the ocean. In Episode 62 we speak with Duke Brouwer, a man who has built an incredible life around the ocean and the surf industry. Duke takes us through his story of learning to surf in the 82/83 El Nino, managing the legendary Gordon & Smith surf shop in Southern California, and his years living, surfing, and diving on Maui. We hear of Duke's 14-year career with Surftech, the arrival of SUP, and great stories of the legendary people he spent time with (Joe Bark, Gerry Lopez, more). 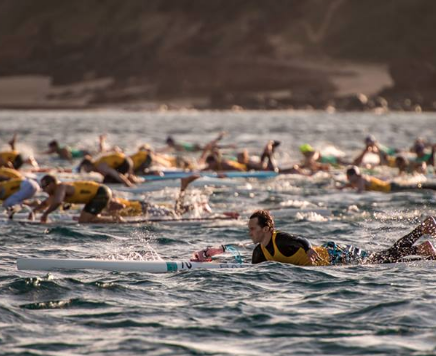 Duke shares his perspective on giving back to the ocean community and those less fortunate through volunteer work (Jay Moriatry Paddle Race, 24 Hour Paddle) and hear about his work with Buell Wetsuits to inspire the next generation of ocean athletes. Thanks for sharing Duke's ocean life with us. You can find pictures and video of him on Instagram and Facebook. There is also some fun stuff on the This Ocean Life Instagram and Facebook pages. We are also on Twitter ranting about anything cool happening in the ocean. This episode is sponsored by Buell Wetsuits. 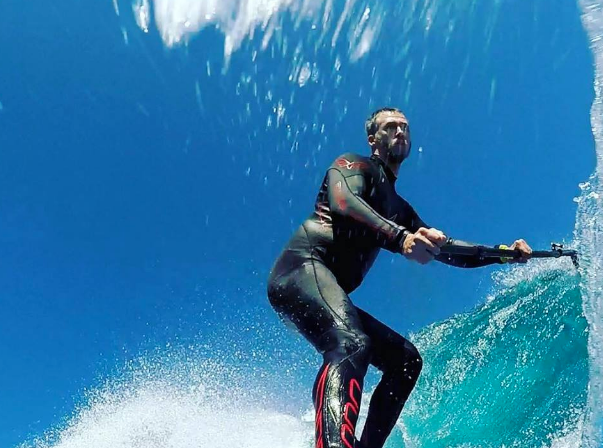 Driven by their passion for surfing, Buell Wetsuits & Surf was born out of Ryan Buell's garage and today creates quality products for core surfers the world over. 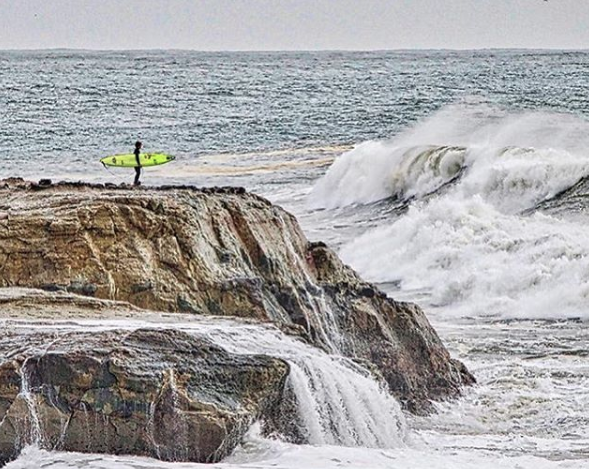 From frothing groms to touring pros, Buell Wetsuits are trusted and worn in line-ups from Steamer Lane to Sebastian Inlet and beyond... For your next wetsuit go to buellsurf.com or stop by Buell Surf Shop at 912 41st Ave in Santa Cruz. In Episode 61 we speak with George Peterson, a man of the water who has spent almost 2 decades years educating the world about our oceans through scuba diving. George takes us through his youth in Iowa, finding scuba diving in Colorado, and ultimately moving to the island of Utila, Honduras. We hear the story of George and friends building the first eco-friendly dive resort on Utila, stories of whale shark pods, and George finding his true passion for education and conservation of the oceans which he pursued back to California where he joined the Monterey Bay Aquarium. George talks about the amazing work the aquarium does for our oceans, young people, and the disabled through the Underwater Explorers program and Day of Discovery, talks about their white shark program, and shares his recent trip to Oman where he witnessed some of the most pristine and amazing underwater life he has ever seen. Thanks for sharing George's ocean life with us. You can find pictures and video of George on his Instagram page and Facebook. Check out the Monterey Bay Aquarium youth dive program as well. There is also some fun stuff on the This Ocean Life Instagram and Facebook pages. We are also on Twitter ranting about anything cool happening in the ocean.